Goodreads Description: Imagine a world where you might disappear any minute, only to find yourself alone in a grey sickly land, with more horrors in it than you would ever wish to know about. And then you hear a horn and you know that whoever lives in this hell has got your scent and the hunt has already begun. My Thoughts: So just based on the description doesn’t it grab your attention? Now I read this book in audio form because I was looking for something to listen to on my walks that also fit my October theme. 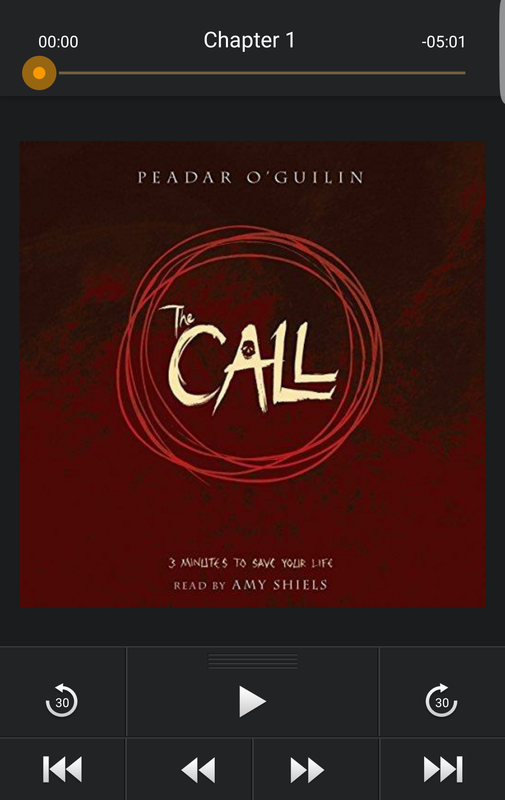 Boy am I glad that Audible suggested I may like this book. I didn’t like it I loved it!! I loved the diversity in this book, there was a differently abled person as well as LGBTQ represented. It was so creepy that these teens were called and everyone got called it wasn’t a lottery and you didn’t know if it would happen when you are 11 or 18. Also they are alone when they are pulled into this world where time is much slower because you are in the world for hours but only 3mins 4secs pass in our world. This book had me on edge, you never knew who would be called and what would happen added to the the craziness that was happening in the students day to day life. If you liked Hunger Games, Fae, Folklore, Suspense, Creepiness definitely pick this up. I gave this book 5 out of 5 stars because not only was it entertaining but I also felt it was such an original story. Have any of you read this book if so what did you think? Happy Reading Y’all!!!!!! !